One of the reasons why I stopped in Taiwan, was to attend the wedding of one of my (countless) cousins. I had expected a traditional Chinese wedding (lots of ceremony, lots of relatives, lots of drinking), but it turned out to be a mass wedding! 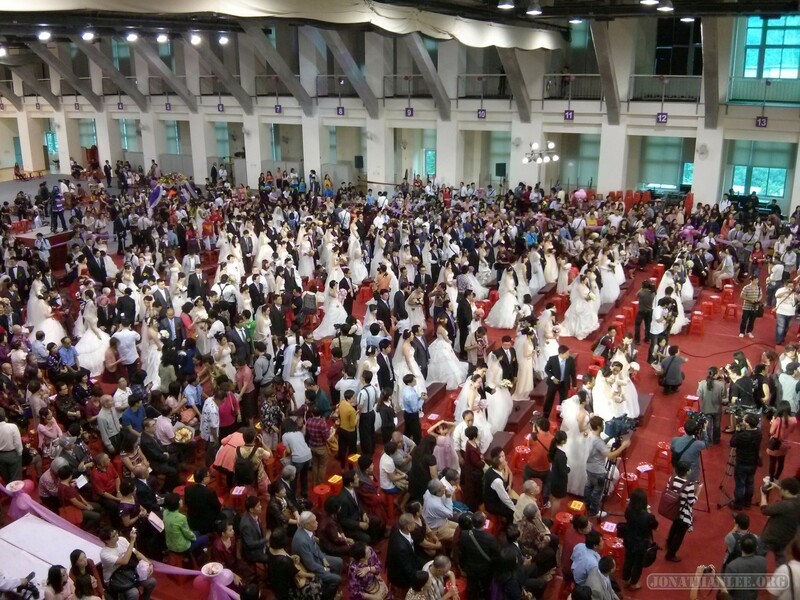 Mass wedding, meaning that 85 couples got married in one giant ceremony. I’ve never seen anything like it.